With the NCAA season rapidly approaching, we decided to come up with our own preseason NCAA Division I Top 25 rankings. After three years as king of the hill, California looks to nudge the Horns down a step. The issue for Texas is the sizable loss they take by Jack Conger, Clark Smith, and Will Licon exhausting their eligibility. Doubting Texas is always a risky position to take, though. No one thinks less of Townley Haas or John Shebat, they are entering as the odds on favorites to claim NCAA titles. Joseph Schooling can reclaim his crown in the 200 butterfly, although he will have to run into Dressel's buzzsaw in the 100. The incoming class isn't what Cal's is and the sophomore class doesn't have a single time in the preseason top 25. Texas is carried by its experience, but needs youth to win a fourth straight national championship. Then again, how many times has Eddie Reese developed diamonds in the rough? Never count them out in March. California and Texas have occupied the top-two spots at the year's end all but once since 2010. This year, California starts at the top for good reasons. First of all, Dave Durden did some great recruiting. 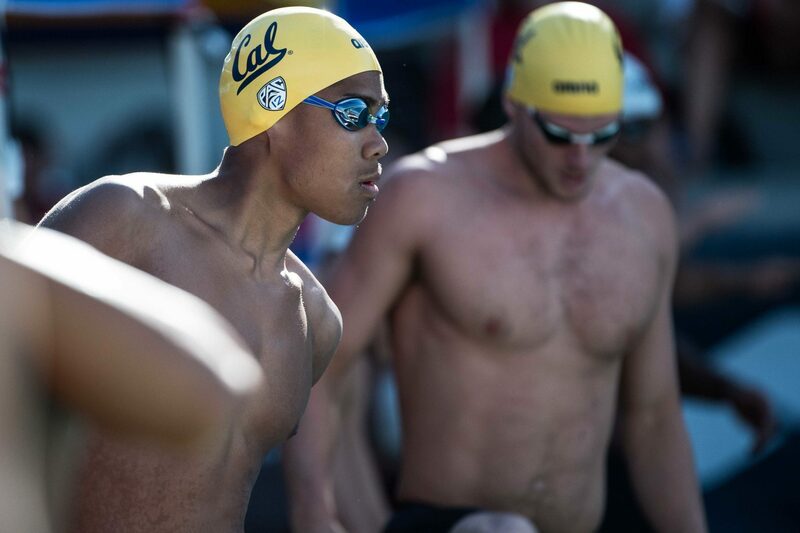 Four swimmers in the top eight of the 2017 class are headed to Berkeley. Headliners in the class include: sprinter Ryan Hoffer, Daniel Carr, Bryce Mefford, and Sean Grieshop. 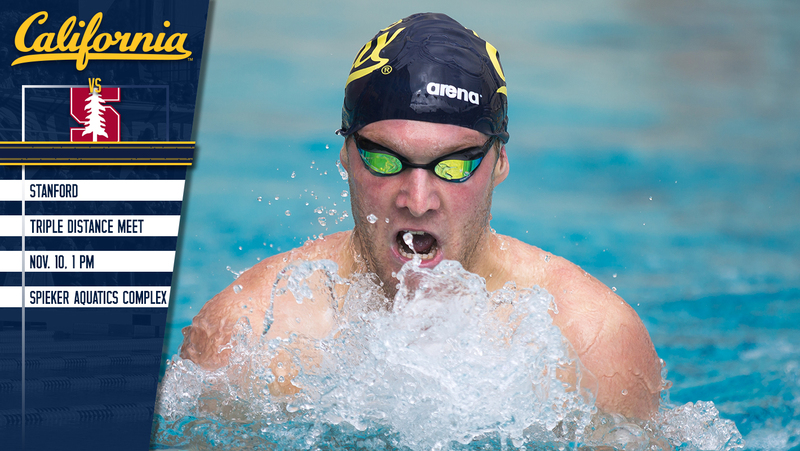 The Bears do take one massive hit due to graduation, however, with backstroke king Ryan Murphy. At the end of the day, the incoming freshman are the difference maker on the relays, giving the Bears the edge over the Longhorns to start the year. This has to be one of the greatest recruiting classes of all time. Cal-Berkeley coaches Dave Durden and Yuri Suguiyama worked some serious magic this group together. 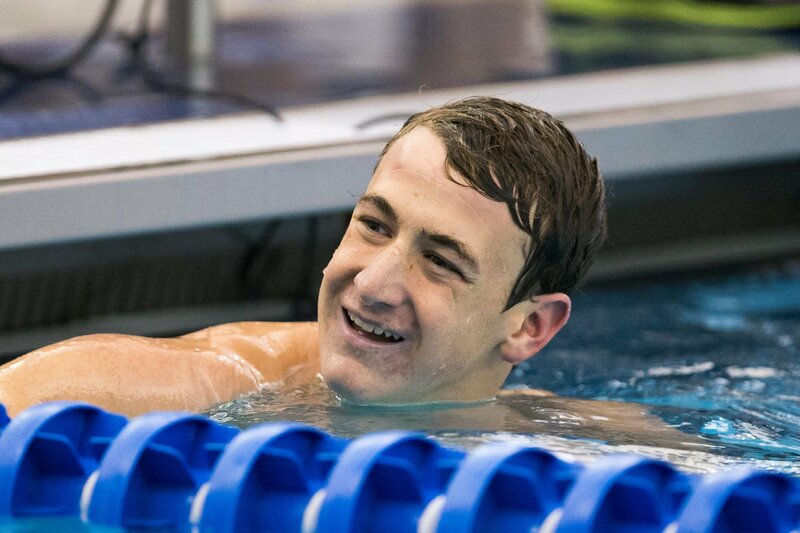 While Ryan Hoffer has yet to maximize his potential in the long course pool relative to his performances in the short course pool, his value in the NCAA system in invaluable. Does that remind you of anyone else early in their career? *Cough cough* Tom Shields *cough cough. * As a matter of fact, Hoffer could prove to be even more valuable than Shields based purely on his 50/100 times. Not only is Hoffer an immediate threat individually, but he could also quite literally be plugged into any of Cal's relays and be the difference-maker. Backstroke/IM studs Daniel Carr and Bryce Mefford will together look to plug the massive hole left by graduating senior Ryan Murphy. Carr and Mefford are not on that level; however, they pack a pretty strong 1-2 punch. Sean Grieshop is also another to watch out for this season. Grieshop will no doubt do some serious damage in the 500 free and 400 IM. 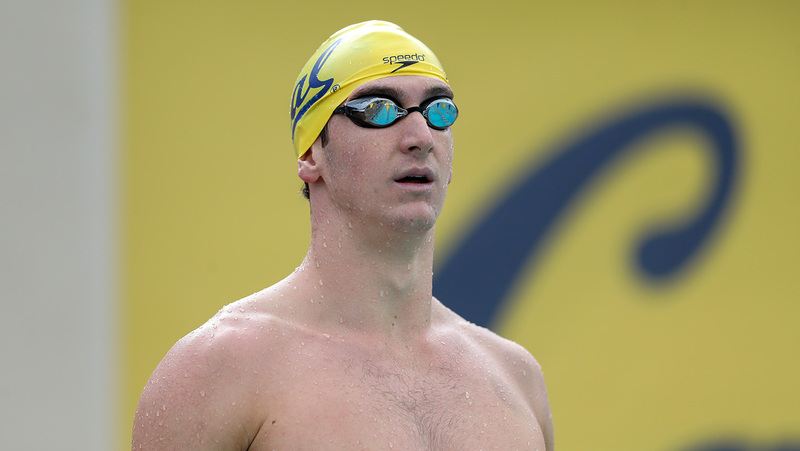 The question remains: will he swim the 1650 free -- which he hasn't gone a best time in since 2014 -- or opt for a push in one of the 200s of stroke? Looked at Aukai's times for the 2016/2017 year and looks like his best times were all achieved during the winter meets (2016). Was he out during the spring meets? From my recollection he was. Wonder if this has something to do with this current situation now too. "Durden ended up giving his team a bodylength lead after his 10-second 25 free leadoff leg, and the other three dads held on for victory." 10 sec!! That's pretty darn good for a parent. Cameron Craig and Grant House make up a scary (and young) relay core. 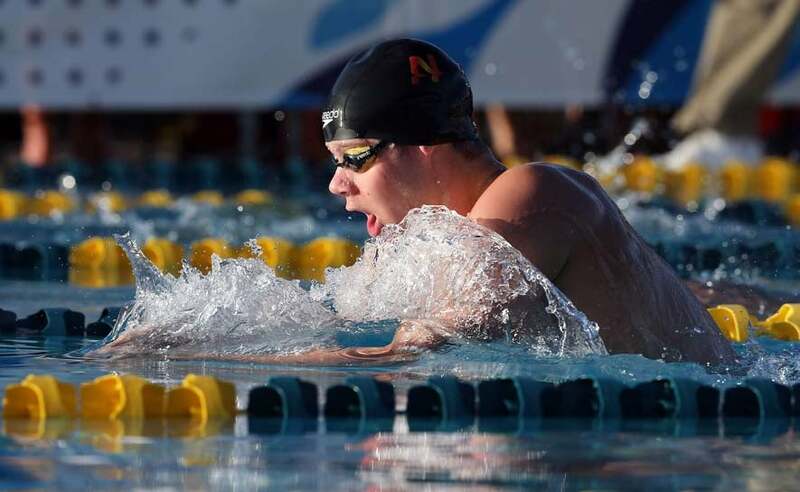 Some major relay pieces graduate, so the Sun Devils' standing depends heavily on how fast their developmental relay prospects beyond the Big 2 develop. UGA's gotta reload without Chase Kalisz, Pace Clark and Taylor Dale. Camden Murphy is the best fly prospect in this class, and the IM group is still in great hands with Jay Litherland and Gunnar Bentz. The relays will again lean heavily on Javier Acevedo, the team's only true sprint power. Abrahm Devine is coming off of a breakout summer and leads an IM group that adds two freshman 1:46s. The distance group could be nasty between Grant Shoults, Liam Egan and True Sweetser plus incoming top-20 freshman Matthew Hirschberger. It's not the most well-rounded team yet, but Stanford is accumulating talent and depth at levels it hasn't seen in years. Blake Pieroni is the real deal and elevates every relay on this team. He leads a burgeoning sprint group that adds two big Croatian talents: Bruno Blaskovic and Nikola Miljenic. They're both more drop-dead speedsters for now, but these Hoosier relays have a chance to be deadly over the coming year. The pieces are here for this team to do something special. Dylan Carter had a massive junior year. Santo Condorelli was a bit more lackluster, but has the ability to be one of the nation's top sprinters. 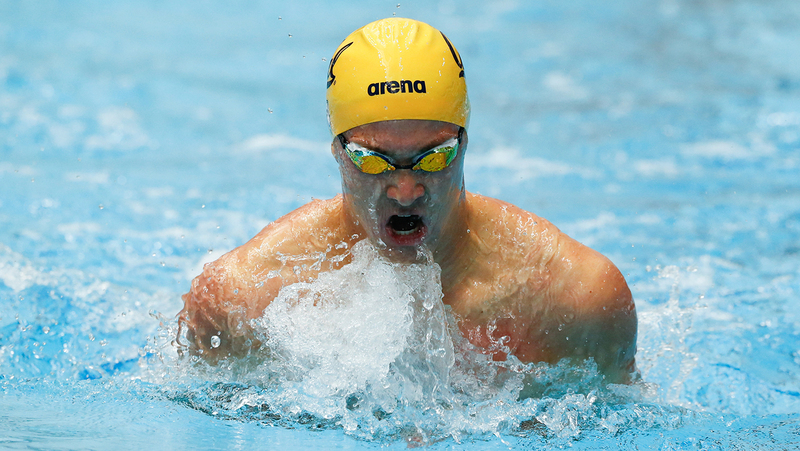 Carsten Vissering could take advantage of a weak breaststroke field for big points. 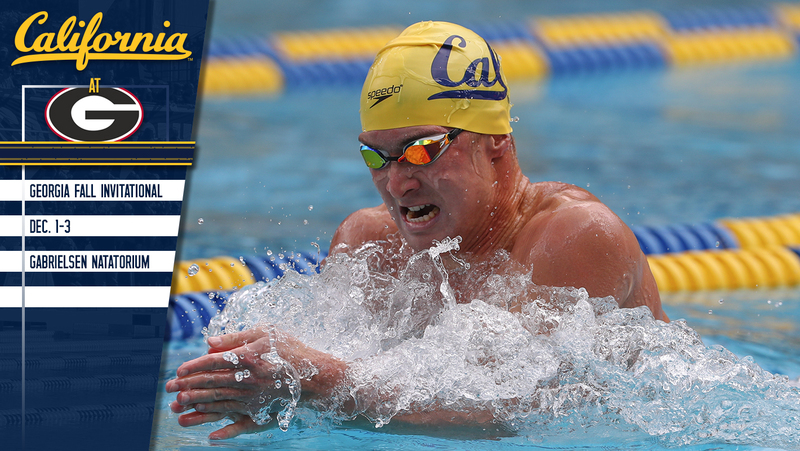 And the backstroke group adds international star Robert Glinta to current senior Ralf Tribuntsov. Plus watch this recruiting class, which adds 1:34.7 and 1:36.6 200 freestylers to a group that already includes Carter, one of the fastest men in history in the event. Justin Ress is the talk of town after an outstanding summer. 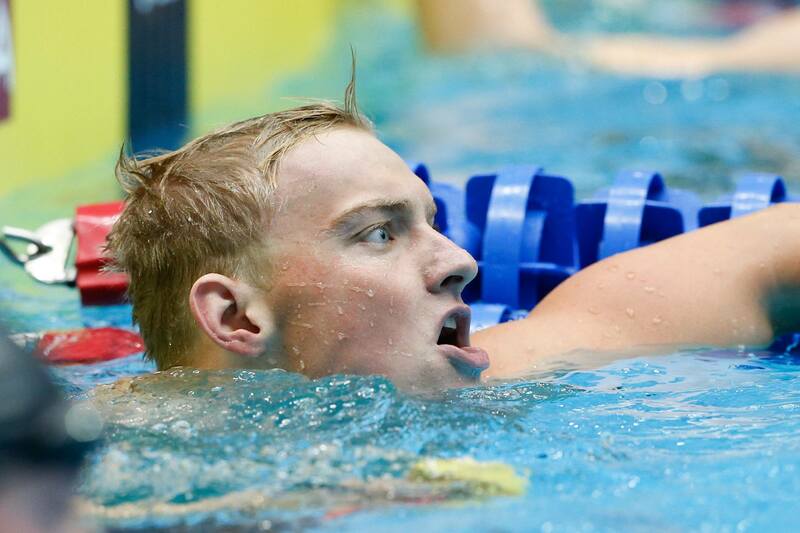 He joins Olympian Ryan Held on relays that graduated some key pieces but could reload in a hurry with Italy's Giovanni Izzo (who has split 21 on a long course relay) and the hyper-versatile Jacob Molacek. Molacek is probably the highest-impact transfer this season and should solve NC State's breaststroke woes while also being a free relay machine. Caeleb Dressel was the best swimmer in the NCAA last spring and the best swimmer at Worlds this summer (on the men's side, at least). Maxime Rooney already looks good and this team is loaded in the IMs. Getting arguably the best freshman backstroker in the nation (Michael Taylor) is gravy, and it sets up Florida to have five elite relays if they can find a breaststroker. Ryan Murphy out, Ryan Hoffer in. There's no better way to ease the loss of an Olympic champ and world record-holder. Hoffer is the most impactful newcomer to the NCAA this year with potential to elevate any of the five relays. 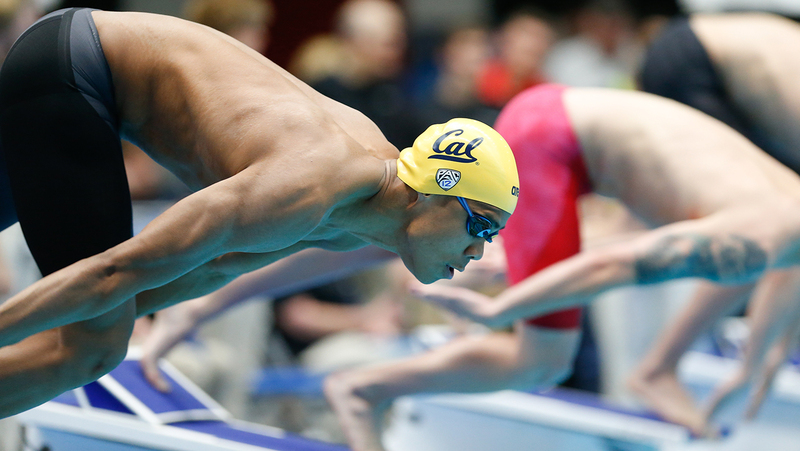 Cal supplemented him with the nation's best recruiting class, including four men under 1:36.4 in the 200 free. The backstroke group has cleared out a little, but the sprint group is quietly one of the NCAA's best between Hoffer and last year's rookie sensations Michael Thomas and Pawel Sendyk. Oh, and don't forget Andrew Seliskar, the all-world prospect who finally gets to step into the spotlight with Murphy gone. Can't argue against Texas, even with some key graduations. Joseph Schooling should be back and better than he was a year ago (and he still scored 33 points in an "off" year). 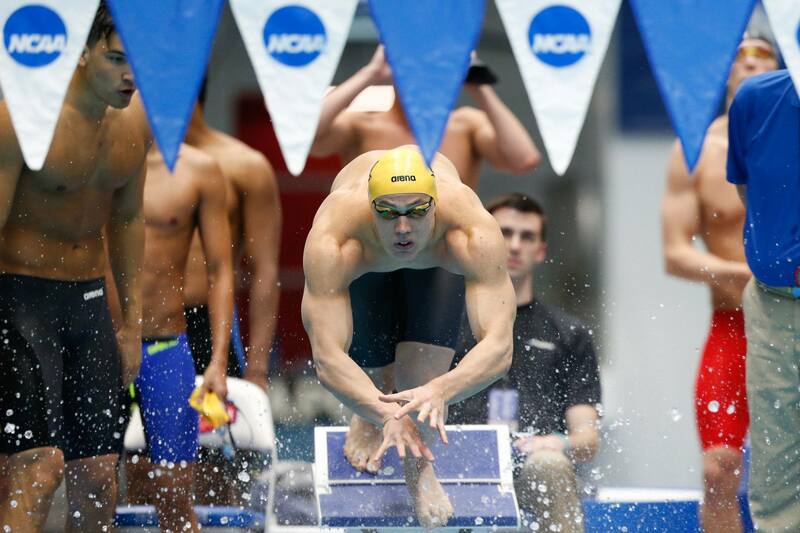 John Shebat is the new NCAA leader in both backstrokes. Townley Haas is still crushing 200 frees and then crushing post-race interviews. 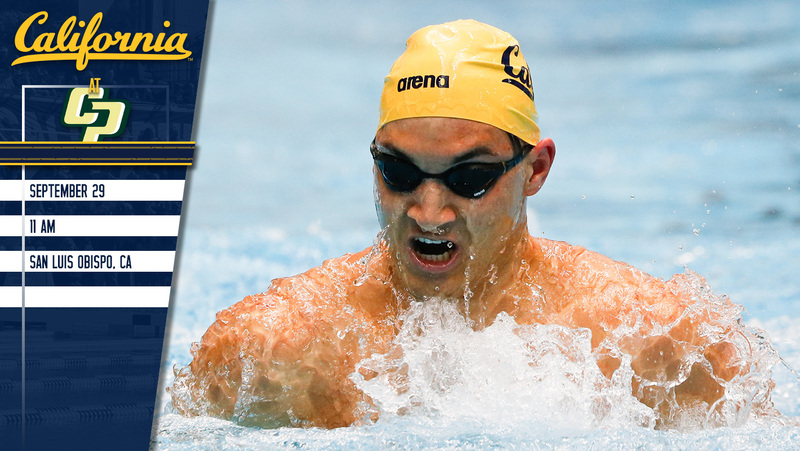 And the incoming class includes top-tier backstroker Austin Katz and the versatile and fast-rising Sam Pomajevich. Plus three guys 1:36.0 or better in the 200 free. The 400 IM is a bit murkier; Gunnar Bentz of Georiga and Abrahm DeVine of Stanford were tied among our picks until Bentz broke his collarbone last week. While he may recover and swim at NCAAs, we decided to err on the side of caution: two of the Bentz votes went to Seliskar and one went to DeVine, meaning those two swimmers are now tied. 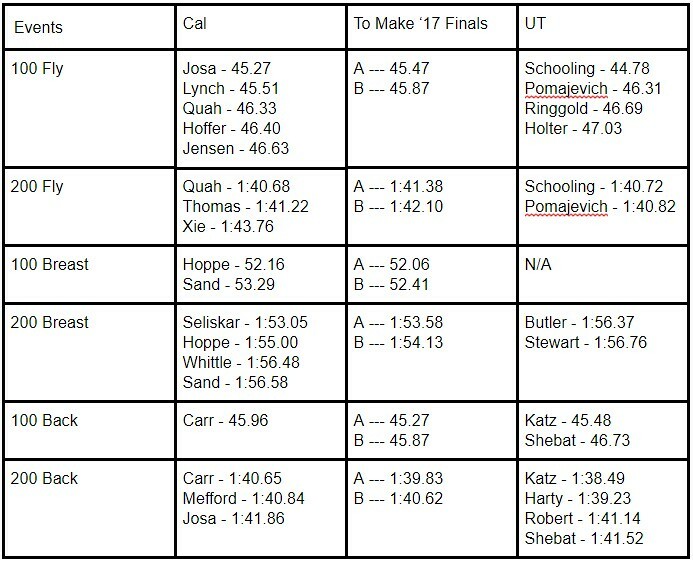 With Licon gone from the breaststroke events as well, both of those races look wide open, with Connor Hoppe (Cal) and Carlos Claverie (Louisville) earning the most votes among our writers. 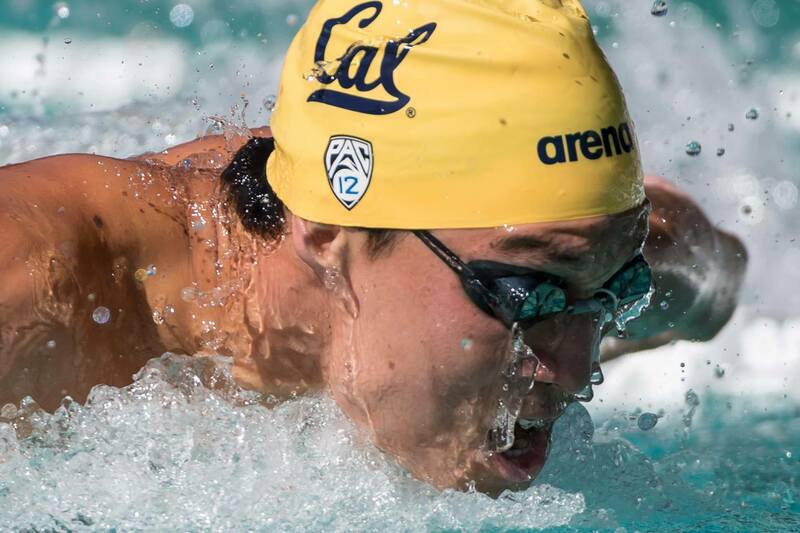 Joseph Schooling's quest to reclaim his 200 fly title will prove unsuccessful, as five of our eight writers think Cal's Zheng Quah will take that race after an impressive showing in limited college swimming last season. 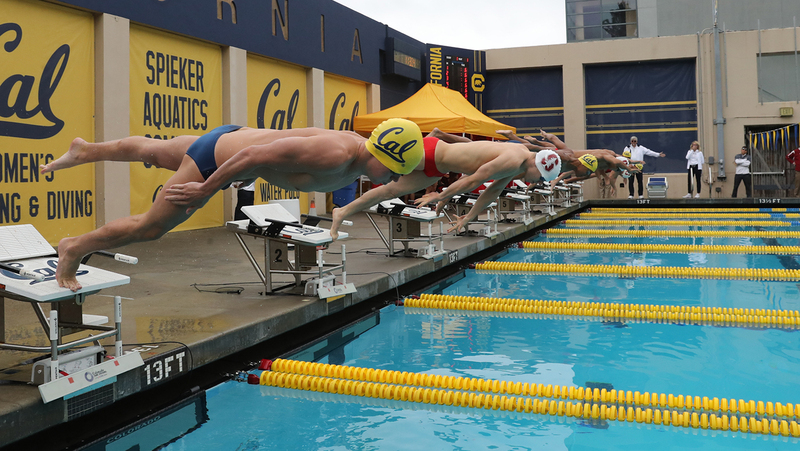 The five relay titles will be split between NC State and Cal, as the Longhorns' lack of a top-notch breaststroker dooms their medley relay chances, and Cal reclaims the 200 free relay title behind the likes of freshman Ryan Hoffer. During the college recruiting process, Grieshop said he ultimately chose Cal-Berkeley over his hometown Texas Longhorns because he felt more comfortable there with the team along with the opportunities that Cal has to offer the school and living in California, in particular. And then there's the opportunity to work with coaches Dave Durden and Yuri Sugiayama, who Grieshop said know what it takes to "put people on the Olympic team." "The focus, dedication and effort that I will put into the pool, the weight room and in life is going to be challenging but worth it. Yuri Sugiyama and Dave Durden have masterfully crafted a program that allows each swimmer to reach their full potential and that meshed well with my values. I felt as though I fit in with the team here at Cal. This is the place for me." Anyone here going to be @ Spieker tomorrow @ 1pm, cheering on our Bears to beat furd? Carsten Vissering training on his own in Australia for half the year scares me, especially when he was the key advantage in my prediction of USC as NCAA title favorites in the 400 medley relay. But Dylan Carter is swimming great and Robert Glinta is the real deal in a backstroke group that holds 3 of the 4 fastest 100 times in the nation this year along with the top 2 times in the 200. As usual, the weekend after Thanksgiving will provide the last significant racing opportunity of the year for college and professional swimmers in the United States. There's no championship or selection at stake, but Winter Nationals and the second wave of NCAA swimming invitationals are just a good checkpoint. 2. How good are the Golden Bears? They're goodthat we already know. Both Cal's women and Cal's men placed second at last year's NCAA championships, and there's little reason to expect much movement this year. But only one of these two teams has national title potential. But it's the male Bears that could make a run at a national championship this season. The women's NCAA title seems like a foregone conclusionbut the men's doesn't, not after Texas lost so many heavy-hitters to graduation. 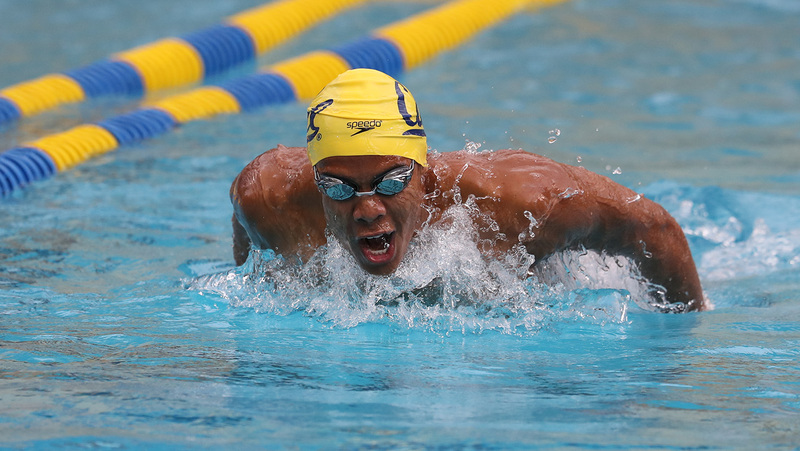 Cal lost their best swimmer, Ryan Murphy, but remains the country's most balanced team, with senior Justin Lynch swimming his best as a senior and a stacked sprint group with Michael Jensen, Pawel Sendyk, Matt Josa and freshman Ryan Hoffer. 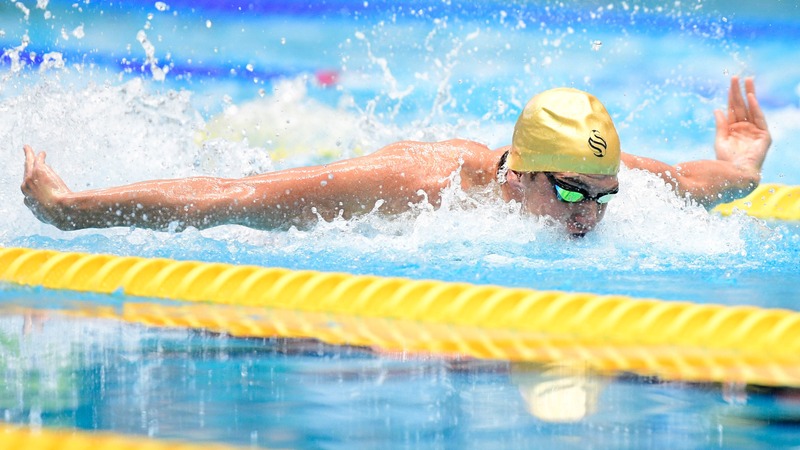 They will get big points from breaststroker Connor Hoppe, from flyer Zheng Wen Quah, from IMer Andrew Seliskar. Freshman Sean Grieshop is a wild card. With both Golden Bear teams scheduled to swim at the Georgia Invite this week, it will become more clear how they stack up with the rest of the country's best heading into the fall. Only Seliskar and Jensen can swim 200Y free under 1:34. For the 4x200 relay, Hoffer and Grieshop will need to develop quickly to fill the last two legs. 2018 or 2019 recruiting classes will probably have some top freestylers. Pls pardon this late post! The senior class hasn't won an NCAA title, so it'd be great if they can get a win this year. Based on the performance at UGA and Texas invites, Cal has a chance to upset UT although the diving points might be difficult to overcome. The next 3 month of hard training will decide who'll win. Wow thanks for the informative stats & graphics, great job there! Just noticed that Finn is no longer on the roster. Was injured last season. Did he transfer or retire from diving? 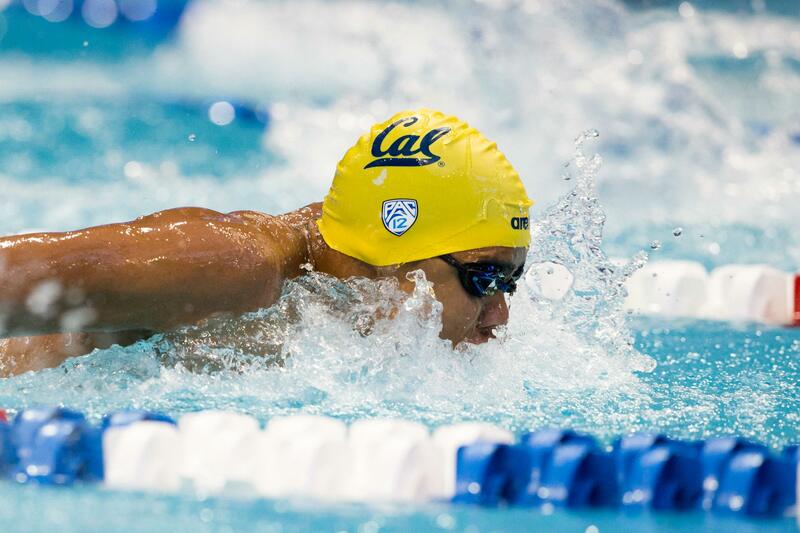 Dave Durden had a great Olympics, as his Cal men starred, including Ryan Murphy's dominating three golds and Nathan Adrian's remarkable run of Olympic medals and anchoring relays. Sandwiched between those were head coaching gigs for the U.S. Worlds team in Kazan in 2015, and in Budapest in 2017. The engineer turned coach explains the formula to his journey, and brings some holiday perspective, in this week's 20 Question Tuesday. 1. What a great Worlds for the men's team you lead, would you agree? Dave: It was good. To say that it was great...we get geared up around an Olympic cycle. The performances were really great in Rio. I think it's really good for USA Swimming to start the quad the way we did in Hungary. 2. So, you look at it in the context of the Quad? Dave: We really want to be great in 2020. That has to look a certain way in 2017, 2018 and 2019, and subsequently into 2020. It's a really good start. 3. 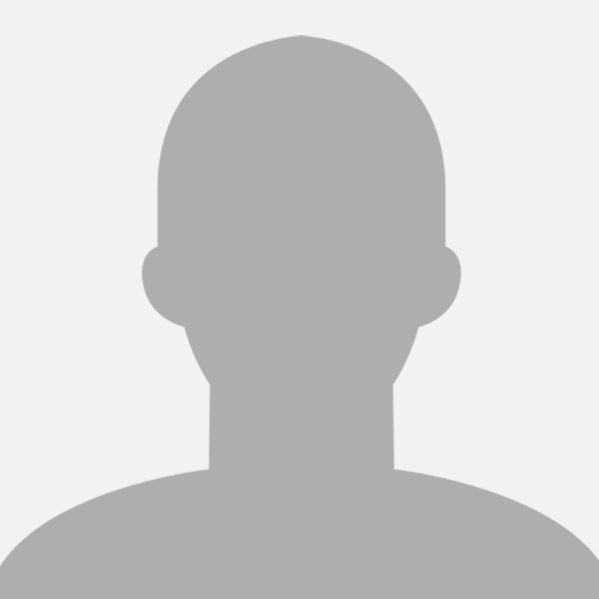 Some really great performances though in Budapest? Dave: Yes, I mean on the men's side, seeing a guy like Matt Grevers get back into the fold and how he swam and all he brings. A younger swimmer like Caeleb Dressel swims fast and really feels comfortable. Good to see our breaststroke crew come back from Rio and swim well. I think we saw that up and down the line with our athletes. 4. A bounce back year for some key players? Dave: I think guys who might not have had the 2016 they wanted had a really good 2017 and I think that brings them back into the mix for 2020. 5. Yet you saw Olympians who did bring it in 2016, bring it back in 2017 again, right? Dave: Subsequently, I think the guys who had a good 2016 got exactly what they needed from 2017 to bring that into the mix, and that's really what you want, to have so many key athletes be in a position in the first year of the quad to move forward. 6. 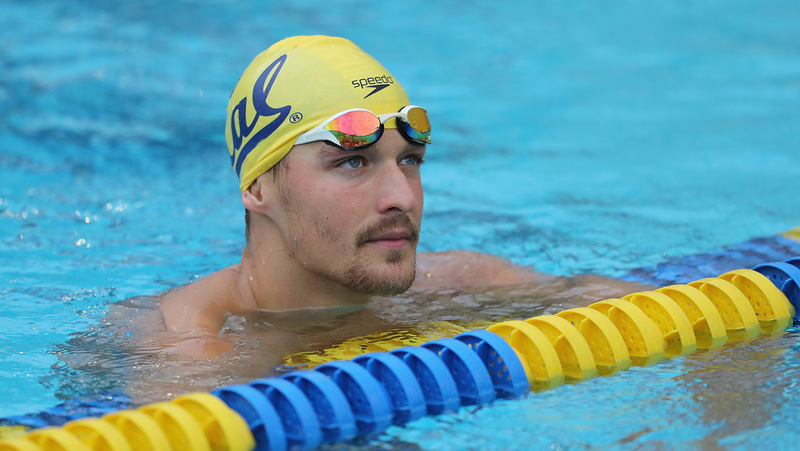 Your Cal alum Nathan Adrian at Worlds, after another great Olympics, you could just set your watch by him, couldn't you? Dave: Yes, and you know with Nathan he is a continual student of the sport, pressing himself to learn a little more about himself to learn something different. That's hard to do in any occupation. He's been doing it a certain way. 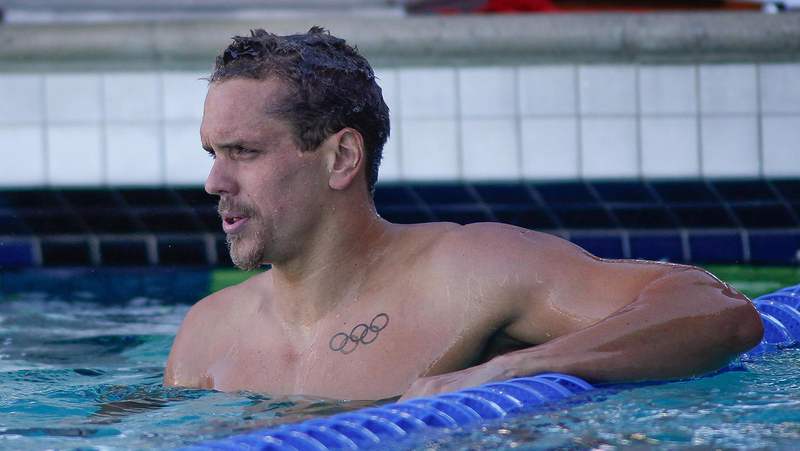 Swimming as a career has a such a short life span, and here's a guy who's been doing it a certain way for a long time. So, he paused and tried it different. 7. You're talking about how you guys decided instead of doing the 100 fast the whole way, saving a bit on the front end and finishing stronger, right? Dave: Yes. That takes a lot of courage, that's the best way to say that. "I'm going to try to swim this a different way to learn a little bit about myself -- about myself as an athlete to see what limits I can push. : I thought that was very good for him to do that. That's probably what I appreciated the most, to completely flip it on and see what he could get out of it. 8. A vintage Durden-Adrian kind of thinking, isn't it? Dave: Well, I don't know if (laughs) you'd call it that. At a certain point you step back and appreciate that every race is a little different, and you can make it unique in your own way. 9. You coached Worlds in both 2015 and 2017 -- along with being an assistant coach on staff in Rio for the U.S. -- do you think maybe looking back 2015 was a bit more successful than the panic button pushers realized at the time? Dave: I think every experience that you have with a group of athletes or with an athlete individually, it is about figuring things out, and testing some limits. We really kind of geared 2015 around what we wanted to do in an Olympic year, no matter how successful we were in Kazan. Then we step back and lean from that. It's part of a continuous process. 10. So you left Kazan realizing the progress and how it could help the team? Dave: It's hard in the moment sometimes, really hard in the moment when something doesn't work. But as you grow and mature as a coach and an athlete, you appreciate the times and the meets and experiences that don't go exactly your way. So, you tweak this, change this, move this forward -- and you don't necessarily like it at that time. But when you come out of it and have successes after those experiences -- hindsight is always 20/20 -- but it tells you, "I needed to try that, it taught me something." And then we had a great Olympics, so certainly we learned from Worlds and the other meets. 11. What did you learn from Rio with the U.S. being so dominant? 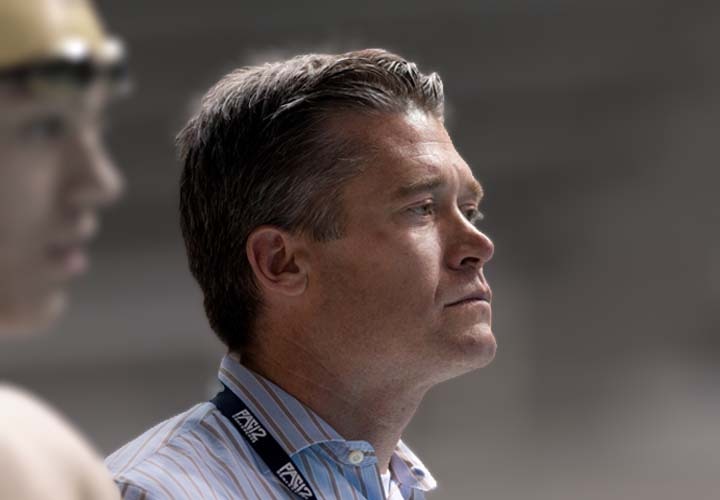 Dave: I think with Rio, I think it's really understated how our support staff for USA Swimming -- and even the bigger Umbrella of the USOC -- how they took care of our athletes to put them in the best position to be successful. I don't want to compare federations, but I feel like our swimmers were taken care of in such a way that success was inevitable for them at that meet. 12. And didn't the successes in Rio seem to snowball? Dave: When you get on a roll like that, a lot of things go right, but a lot of things are being done by people who don't get the recognition they deserve. We get it as coaches. But a lot of the folks who are never written about, who are never interviewed, have these tremendously important roles to put our people in a position to be successful. 13. 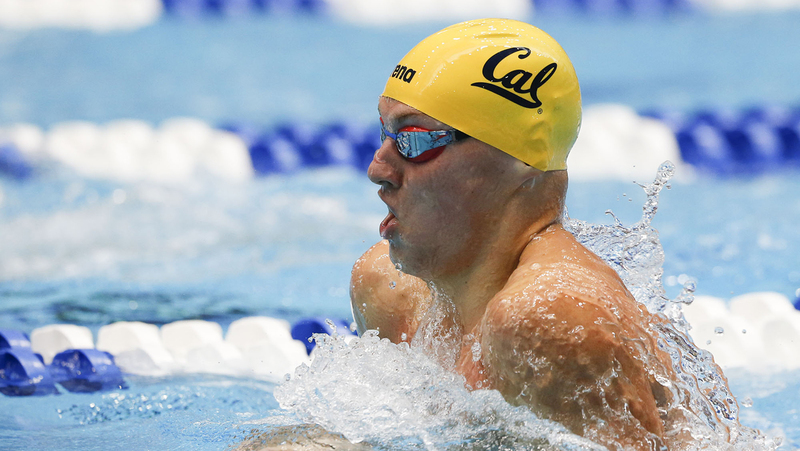 Your Cal standout Ryan Murphy winning three golds in Rio, and finishing it with the last thing he wanted -- the lead-off relay swim to claim the 100 back world record? Dave: I mean, kind of the day before his world record, we were just hoping to get a good swim in, or I was hoping for him to get a good swim in. It wasn't looking like it was going to be his best performance. He knew he had to be prepared to swim the 100 back in 400 medley relay, and though he was doing his best -- and he had two golds by then -- his swims and preparation before the relay weren't going very well at all in terms of performance level; the times on the watch did not look good. 14. I'm so confused, how does he come out with the record? Dave: The great thing about Murph is he stayed on his plan. We massaged a few things. But at the end of the day, he had taken a lot of confidence away from how he approached his races. And how he approached the 400 medley in Rio was how he always approached it. He stayed on his process, which resulted in a world record. 15. I love Nathan out on the blocks saying, "Ok Murph, last chance, get the world record" -- who does that? It's like chatting up a pitcher with a no hitter going, it's just not done, is it? Dave: That's (laughs) exactly what I mean about Nathan, and it speaks to the relationship that Nathan develops and has with a lot of his teammates, not just with Cal but on the National Team. There are so many moments where his maturity or wisdom boosts his teammates -- there are plenty of other moments and stories where Nathan helped our guys move through the process, not just making the Olympic team but being successful in Rio. 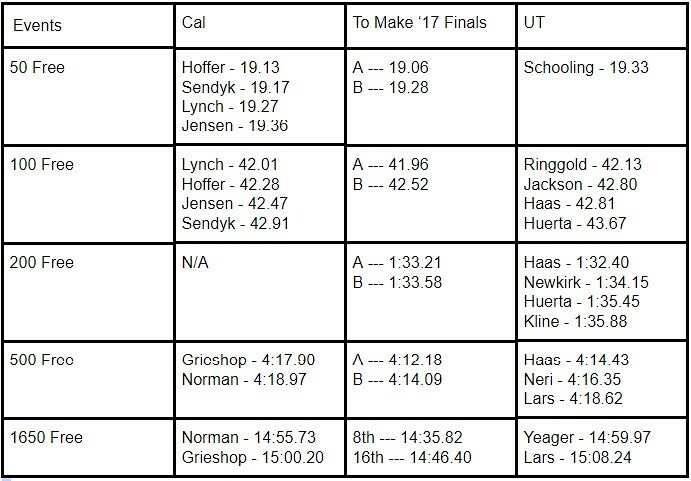 Without Nathan on (Cal Olympians) Josh (Prenot) Jacob (Pebley) and Tom (Shields), they would not have had the performances they had. He's just a great person to administer wisdom to people around him. It's great for Team USA and we all benefit from it. 16. 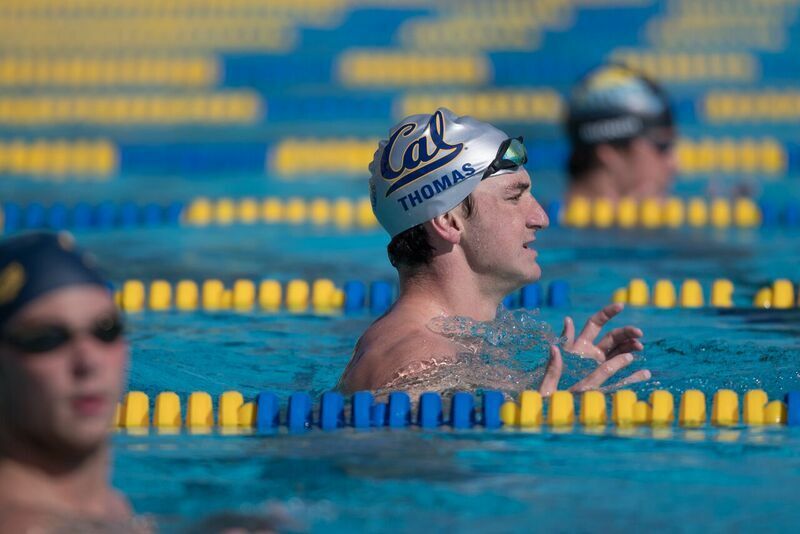 Especially at such a great school like Cal, isn't finals just an incredibly busy time for the swimmers? Dave: We just went through finals this week. On our last day, I was walking out of the building and saw Nick Silverthorn, who had a final at 7 p.m. He'd really been grinding away, getting ready for his final. As I saw him bike off to get ready for his final, I sent an email out to our team. Finals are always a difficult time because everyone has a different schedule -- different finals times, office hours, study groups, things just pop up. I sent out an email to our guys about what we needed to do, and I really wished I could have done it in person because the tone or how you write the message doesn't come off as well as it does face to face. I just wish I could have talked to the guys rather than given them the message in email. 17. So you really miss them when they're gone it sounds like? Dave: Yes! We see them 12 days after they leave, and yes, that will be great -- that'll be awesome. We still stay in touch with them via text and phone calls during the time they are away. I miss the ethos of our program at the times they aren't here. The guys make that up, the 32 guys on our team and pro athletes make up the lifeblood of our program. Without that, it's (laughs) kind of boring. I go through my day and don't get to do the very thing I love to do and that's to coach my guys who are just such good young men. I miss that daily encounter experience with our athletes. There's not a better group of people anywhere. And hearing about their days or just listening to their conversations is something that really means a lot to me. 18. 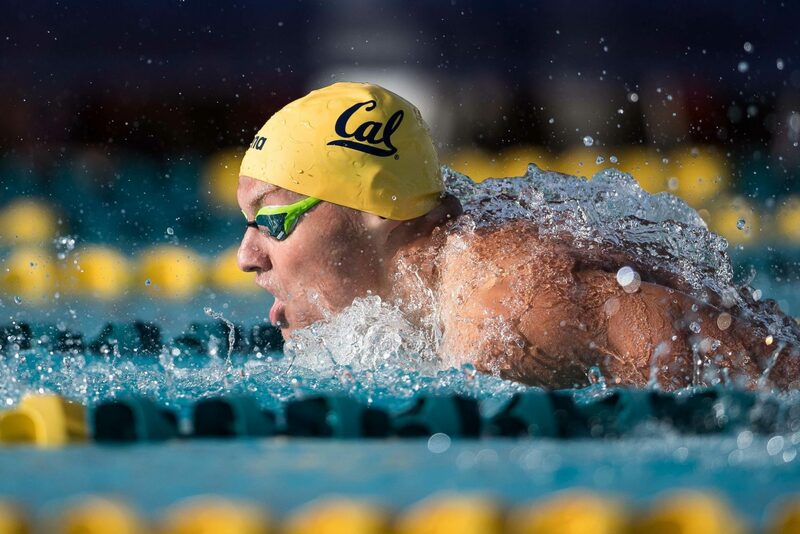 I had some people ask me about Ryan Murphy after Worlds, and I remembered his academic schedule this year -- how he backloaded so many hard classes so he could focus on Rio, and when he came back his commitment was to school for 2016 Fall and 2017 Spring semesters -- he still swam fine in Hungary, didn't he? 19. You spend a lot of time with your family and friends, is it even more so over the holiday season? Dave: I really am in a position with how things are set up where I get to spend a lot of time with everyone I care about. And that is awesome and amazing. The reason I was late calling you today is I was sitting with (assistant coach) Yuri and some staff members talking. I was thinking about something (daughter) Mia said the other day with (wife) Cathy and my Mom in the room, and how she's 7 going on 17 already! To be around for these moments that don't happen all the time, maybe I reflect more during the holidays how thankful I am for that. I'm coaching my son's basketball game, just as a sub, and if I get that win I can retire (laughs) undefeated. So, I do feel fortunate and really enjoy the time with my family and friends here. 20. You are such a thinker and people really enjoy dealing with you -- where does that come from or has that developed over time? Dave: That's a big question. I do think...man, that's (laughs) a big question. As a swimmer, I was not as good as the athletes I coach now, but I always wanted to find a way, whether it was technically or through strength or rest and recovery, to improve. My life is about finding ways to help people reach their goals, to get better. But that goes back to when I was an athlete, that quest and desire was always the same. And I am still trying to figure it out, how to make my guys better. So, I don't know how much I have changed, though certainly I continue to evolve. I am constantly learning. I still feel like I am a kid in some ways, in this sport, because I still enjoy it as much as ever. And when I lose that, it'll probably be time for me to be done. So, there's probably not a lot (laughs) different about me at 41 than at 21. I've got great people around me, people I respect and enjoy and who I enjoy working with. That's a big thing that I appreciate, and I think it makes me better at what I do, too. Awesome interview. We are SO lucky to have him at Cal. California senior Lynch swam on four winning relays at the Georgia Fall Invitational to help the Golden Bears win the team title with 1,014 points over Michigan (915) and the host Bulldogs (674). Lynch (Vallejo, Calif.) won the 100-yard freestyle with 42.01 seconds and set the second-fastest time in the nation so far this year that is only two-tenths of a second off the top mark. The time gives the upperclassman his 'A' qualifying time for the NCAA Championships. On Day 2, Lynch took second in the 100-yard butterfly clocking in at 45.51. Lynch competed in all four relays- 200 and 400 free, 200 and the 400 medley- and helped set the fastest time in the country this year in all four events. With a weekend sweep of relays, the 400 medley also earned an 'A' cut for the postseason with a time of 2:48.42.